Espree® All-Purpose Shampoo deep cleans with naturally mild and gentle cleansers. This shampoo is formulated to be hypo-allergenic and fragrance free making it a great choice for all horses. 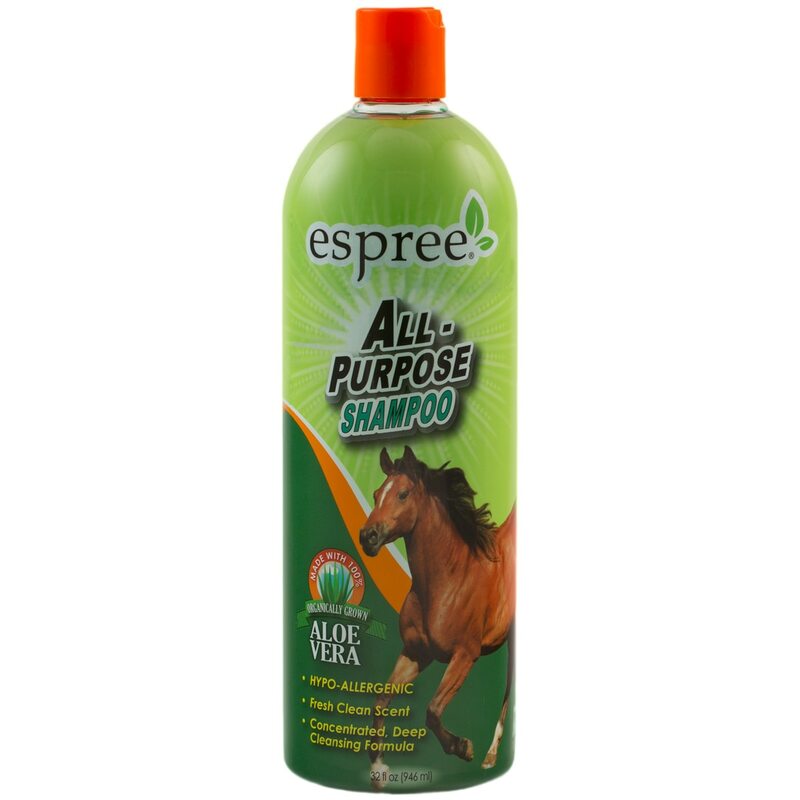 This easy to use shampoo is full of Aloe Vera to keep your horse’s skin and coat at its best.